Provides a nurturing environment for our local arts community. Located at 18 Artcraft Drive in Mechanicsburg, PA.
Art-o-mat® machines are retired cigarette vending machines that have been converted to vend art. Based in North Carolina with over 120 machines located all over the world. CALC serves and enriches the community by encouraging creativity and self-esteem through exploration and appreciation of the visual arts. Located at 38 West Pomfret Street in Carlisle, PA.
History on High – The Shop and the Cumberland Valley Visitors Center are located in the heart of downtown Carlisle’s historic district. The Shop highlights the fine artistry and craftsmanship of county artists, including paintings, fine jewelry, textiles, pottery, metalwork, wood carvings, clothing, and food items. 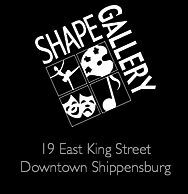 Located at 33 West High Street in Carlisle, PA.
PCCA Connects our Rural Community Through the Arts. We do this through Four Programs: Arts in Residence, Creative, Artist Engagement, and Landis House. Located at 1 South Second Street in Newport, PA. This is my shop on Etsy. Feel free to browse. Fine Art America is the world's largest art marketplace and print-on-demand technology company. Browse to see my artwork on many products.